When it comes to consumer services, we have had to bring on board a dedicated onsite personnel to become a highly dynamic service provider. Through this team, we have been able to assist our esteemed customers in various snow plowing services every time we get our hands on them. 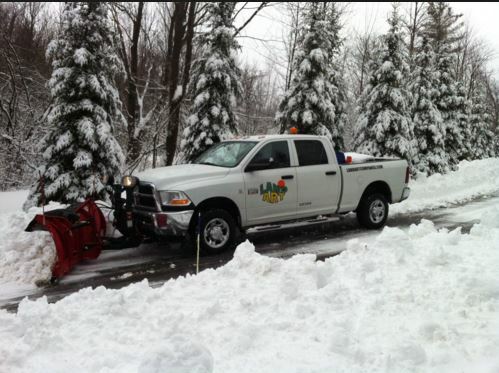 Unlike conventional service providers who have to rely on hired staff, at Niles Snow Removal we have permanent staff working for the company round the clock. Our on-site personnel is available and ready to address your needs.We attribute our great success over the last few years to the dedicated onsite personnel. They are always ready and set to address your concern. As you are well aware, the winter season in Niles is not a walk in the park. Michigan has been rated as the second most affected state after Minnesota by brutal winter. It, therefore, calls for dedication to actively remove snow perfectly and leave our customers happy. Am sure you don’t like the idea of getting rid of the snow by yourself. You are busy dealing with other things so we would be delighted to bring on board our experienced on-site personnel to assist you in various plowing and snow removal. We are always on the market for the sake of the businesses and individuals who require our professional and commercial snow removal services throughout any winter season. We have the required heavy-duty machinery and a team of dedicated professional workers ready to clear your parking lots from snow. We are always ready to take care of your icy spots in that people do not slip on your property. Protecting your business means good revenue as you show your customers that you value them. Our site personnel is always there to handle the job well. They are very qualified, trained and much experienced. They have customer service skills, who will listen to your concerns and give you a speedy and quality service. They, therefore, help you in maintaining a friendly, respectful and most of all professional attitude. As a basic principle of Niles Snow Removal, for you as our client is that the site personnel working for us have special training. This is ideal to deal with your property better. Before hiring any of our staff, they have to go through a pre-screen program. Here we ensure that you get to have a top-notch service every time you interact with us. This has given us a great competitive edge since we only settle for the experienced and competent staff members who can add more value to our clients each time. We also need staff who will give you additional insight to manage the next winter season. Who doesn’t want that? ​Being an industry leader we want our onsite personnel to be associated with world class service. You can rest assured you will get your value for time and money on every minute you spend on us. We have a wide variety of service packages that are customized to suit all your budget needs without compromising on your quality requirements. Our clients are therefore satisfied with our great onsite staffing job for the snow and ice management needs.